Our proud history in academic research dates back nearly fifty years. Today, we support academic research as co-funder of the Margaret Pyke Professor of Sexual & Reproductive Health at University College London. The Margaret Pyke Professor of Sexual & Reproductive Health is the only clinical academic chair for contraceptive research in England. In addition to her role as the Margaret Pyke Professor, Judith also holds honorary NHS consultant appointments in women’s health and public health at University College London Hospitals and Central North West London NHS Foundation Trusts. 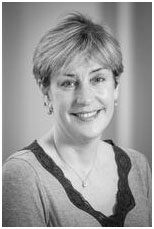 With over twenty years’ experience leading sexual and reproductive health research, Judith’s work has led to policy and practice change, including EU guidance on chlamydia screening, the Royal College of Obstetricians & Gynaecologists’ strategy for women’s health care, the Royal College of Physicians’ report on alcohol and sexual ill-health and the CONSORT guidelines for non-drug randomised trials. Judith’s recent awards include a National Institute for Health Research Senior Investigator Award in 2014 and the UCL prize for Leadership in Public Engagement in 2012. Judith’s current research focus is on improving use of contraception, how women plan and prepare for pregnancy and how early intervention can improve women’s and children’s health across the life course. In the last two years, the Margaret Pyke Trust has also contributed towards the course fees of Fiona McGregor, who is undertaking a PhD on the sexual health of vulnerable young homeless people. Fiona’s PhD aims to improve the sexual health and contraceptive use of homeless young people in hostel accommodation in Central London. Our research output has been prolific since long before Judith Stephenson’s appointment and, in the 1970s, was of particular significance as relatively few organisations funded contraceptive research at the time. Professor John Guillebaud led our research activities from 1978 until 2002 and published clinical research studies covering topics including hormonal methods of contraception (the combined and progestogen-only pill, and an innovative contraceptive vaginal ring), intrauterine methods (including GyneFix and the levonorgestrel releasing IUS), barrier methods (male and female condoms) and male and female sterilization.